Get your data straight into your spreadsheet and work with it like any other data. 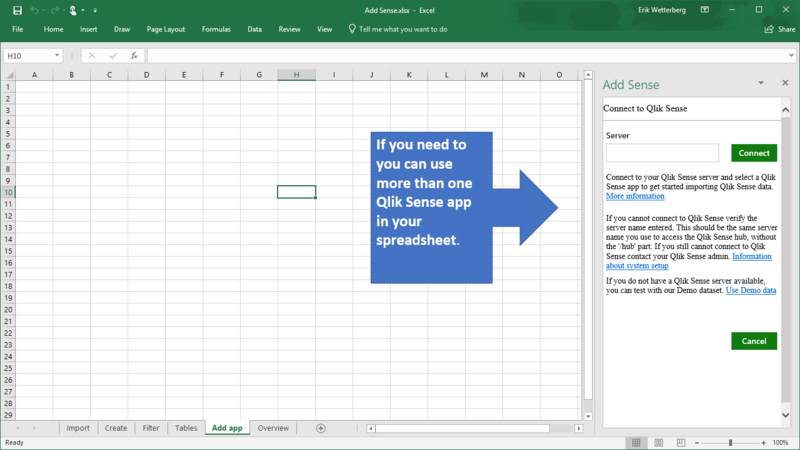 Connect to your Qlik Sense app and use the dropdowns to select the data you want - no programming required. Easily refresh your data when the Qlik Sense app is reloaded. Refresh your data when app is reloaded with just a click. The first thing you have to do to get started is connecting to a Qlik Sense app. Enter the name of your Qlik Sense server, for example qlik.server.com. 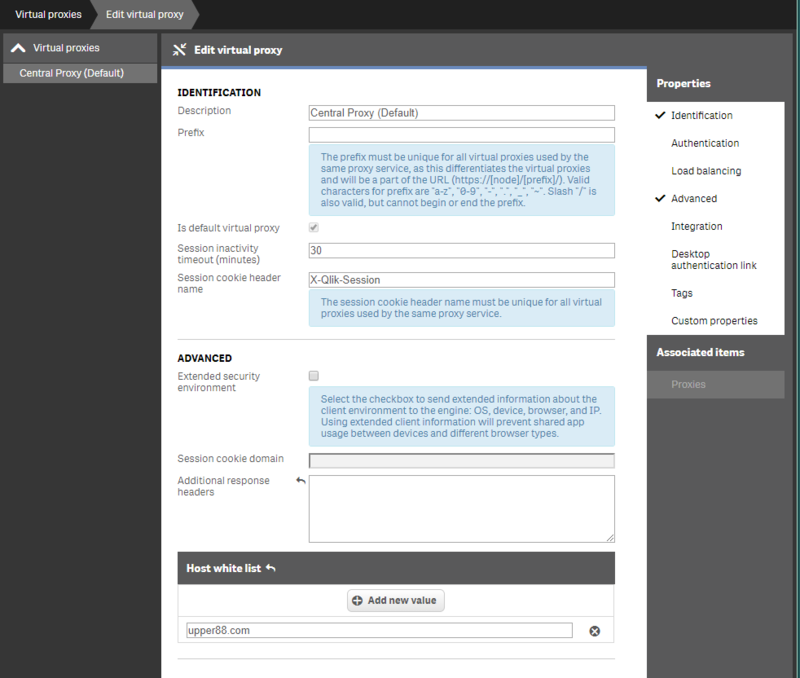 If you are using a Qlik Sense virtual proxy, you need to include that too. 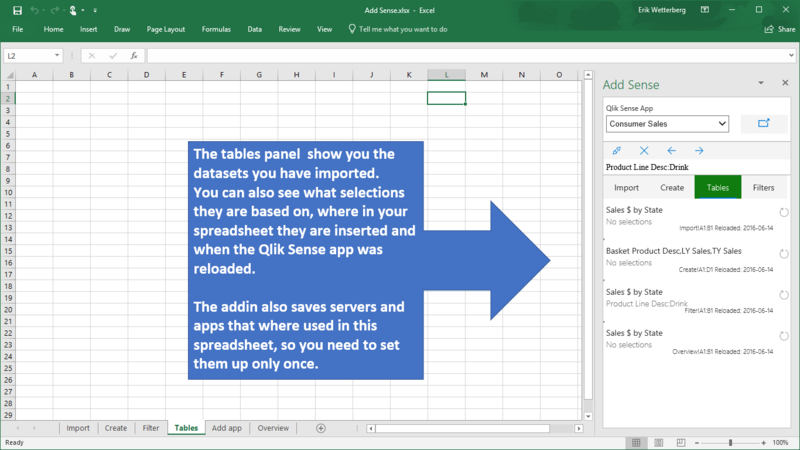 The add-in will connect to your server and show you a list of the Qlik Sense apps you have access to. Depending on your environment setup you might need to authenticate. You can use information from several Qlik Sense apps, even from different servers in the same spreadsheet. Just add another app connection. 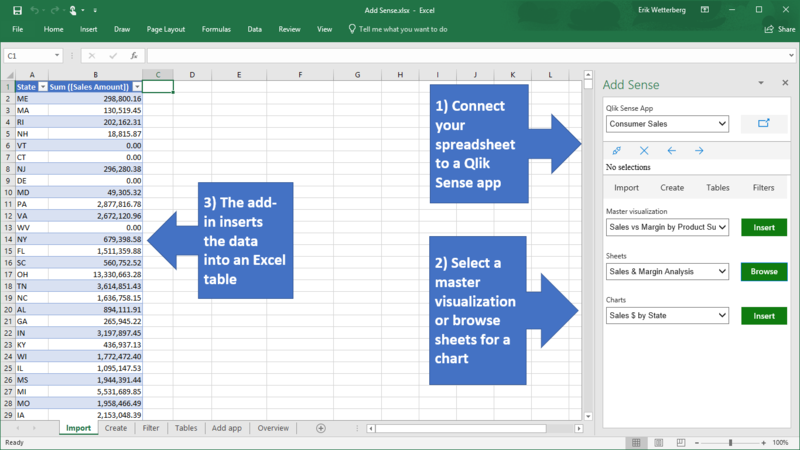 If you cannot connect to your server, verify the server name and that your Sense server is configured for Add Sense Excel. The top dropdown list shows you all Master visualizations. Select one and click on insert, and the data from it will be inserted in the sheet at your current position. You can also use visualizations from any sheet you have access to. Select the sheet in the dropdown, click Browse and you will see the list of visualizations from that sheet. Select any of them and click on insert. If there isn't a visualization that suites your needs, you can also create a table from Dimensions, Measures and fields in the create tab. If you want to use information from several Qlik Sense apps, even from different servers you can add them later. But perhaps you want to make a selection and show some data for just a subset, like a region or a product. 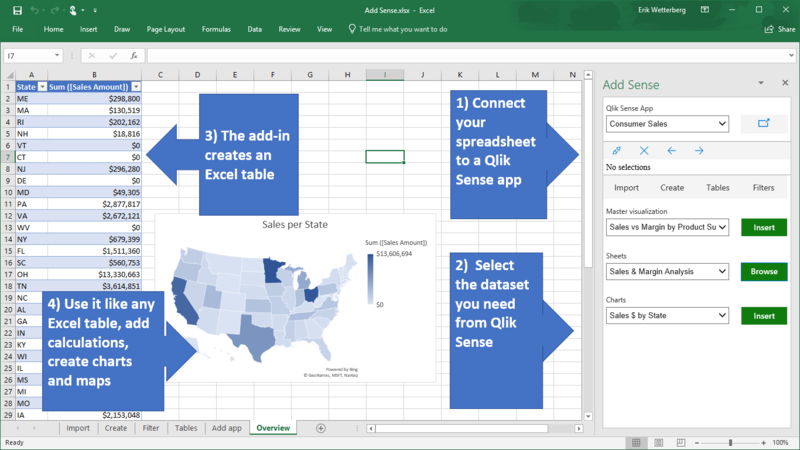 Add Sense allows you to use the Qlik Sense app to make selections, and they will be reflected in the data you import into Excel. You can also use the add-ins filter panel to select the data you need. You can use the icon next to the app name to open Qlik Sense client. Any selections you make in the client will be reflected in your selections. Add Sense allows you to combine different datasets in the same sheet for easy comparison. Add Sense keeps track of your imported data. In the Tables tab you can see what you have imported. Information about what selections where active when you made the import and when data was reloaded is also included. When you add the add-in to your Excel, the actual code will be downloaded from upper88.com over https for security reasons. 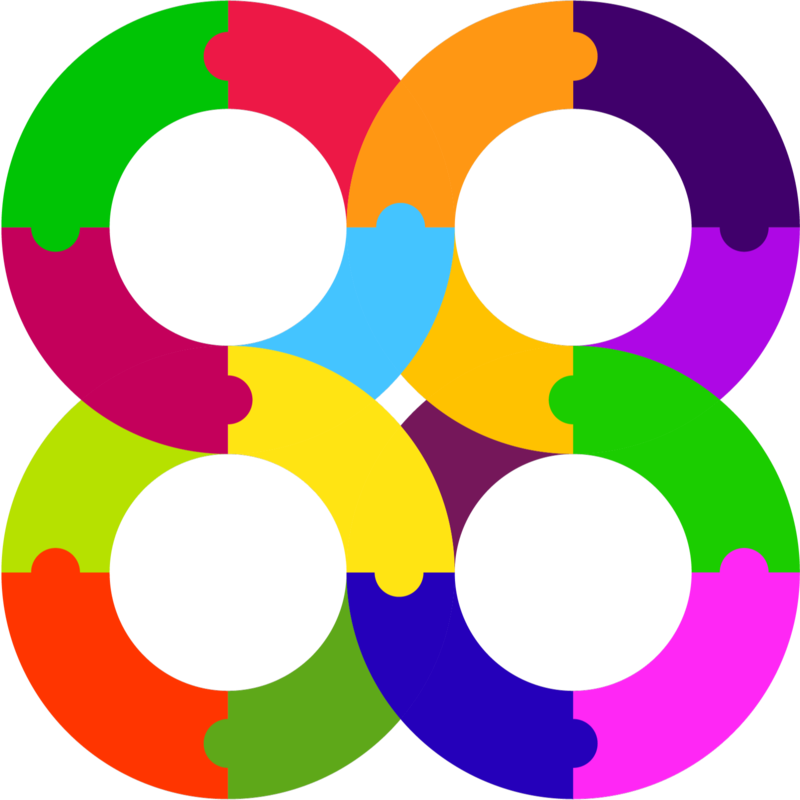 For this to work, you need to add upper88.com to the websocket whitelist for your Qlik Sense system. This is done in Qlik Sense QMC, under Virtual proxies. Users will of course also need access rights to the Qlik Sense system and any app they want to use. 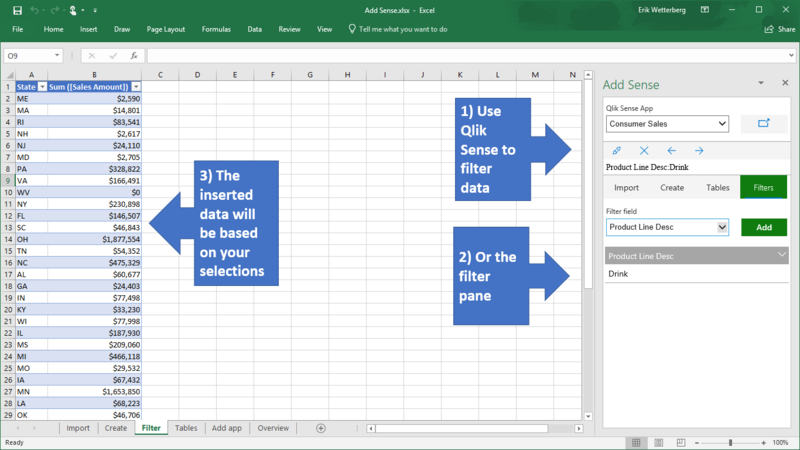 Since you cannot share sessions on Qlik Sense Desktop, you can only make selections in the add-in. The add-in does not collect or transmit user information, and does not rely on any external service. All processing is done directly on your machine.